A luxurious finish for your favorite wedding photos! 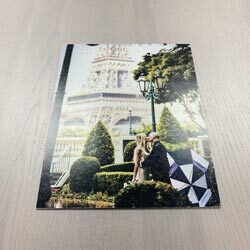 Get your best images printed on fine linen textured photo paper. This will add a richness and depth for a more realistic effect. Speak with your gallery representative to add these textured prints to your photo package. Please allow 2 weeks for processing and shipping. Cost for shipping not included in pricing. 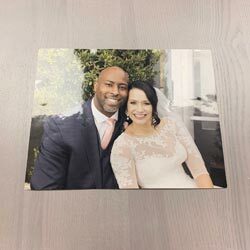 Get a high gloss finish on your favorite wedding photos! This finish creates a luminescent effect, especially on color-saturated images. Speak with your gallery representative to add these metallic prints to your photo package. Please allow 2 weeks for processing and shipping. Cost for shipping not included in pricing.